This full moon was captured April, 2011. 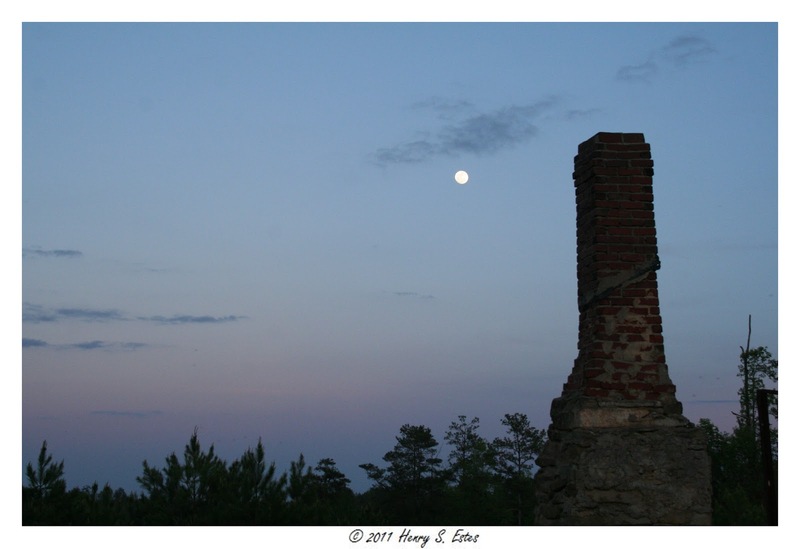 I had drove past this chimney (the only thing remaining from an old homestead) on many occasions. On this evening, the moon just happened to be joining it.